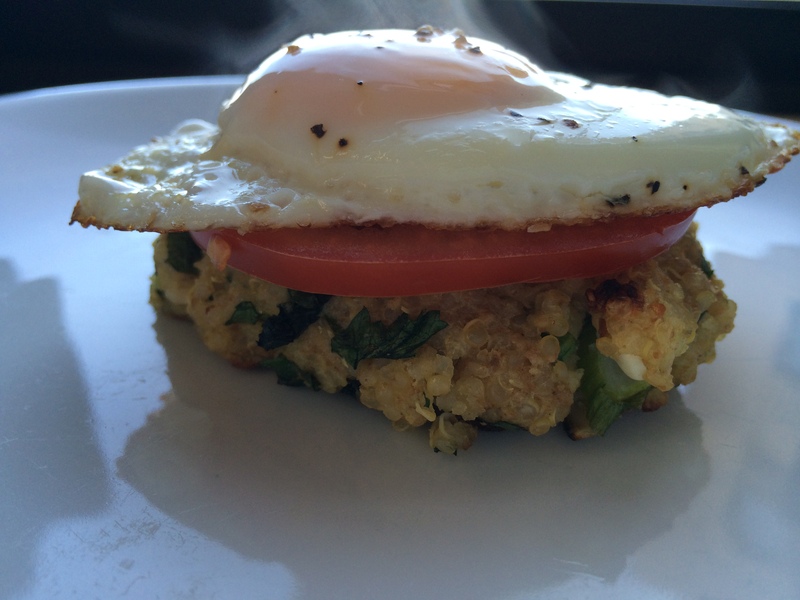 This is basically a bunless veggie burger. Not to worry, carnivores. 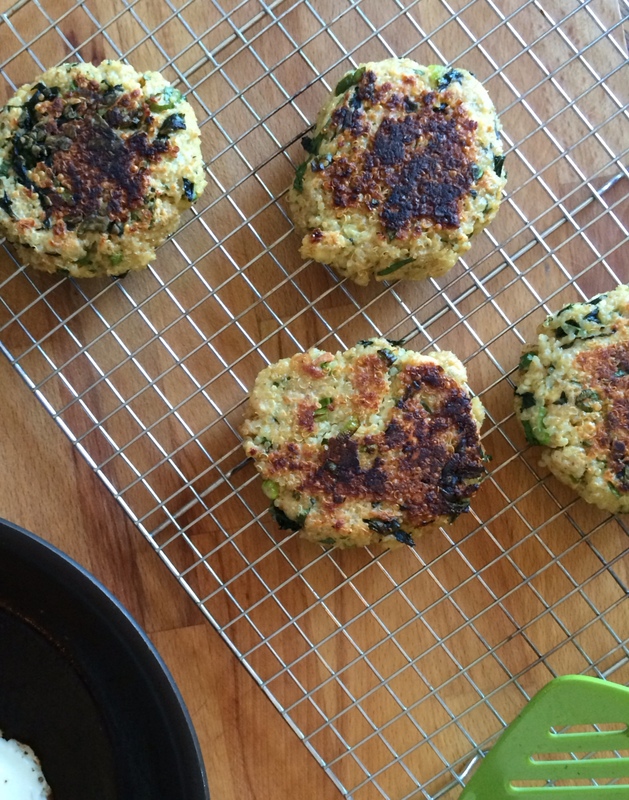 They taste so much better than typical veggie burgers. Don’t believe me when I tell you how good these are? Well, you’re just wrong … but make these and prove it to yourself. My meat eating family members devoured ’em. So get rid of your preconceived notions of what a veggie burger is. 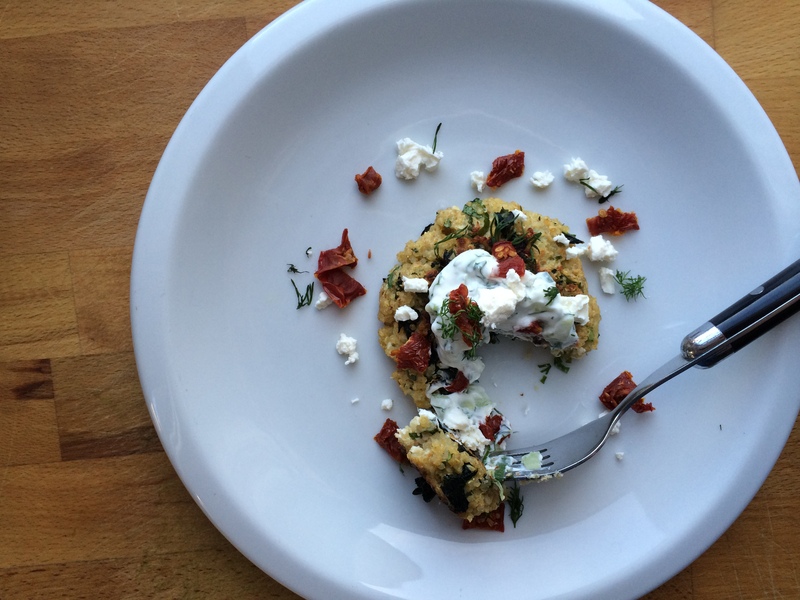 Get rid of your preconceived notions of what you can do with quinoa. 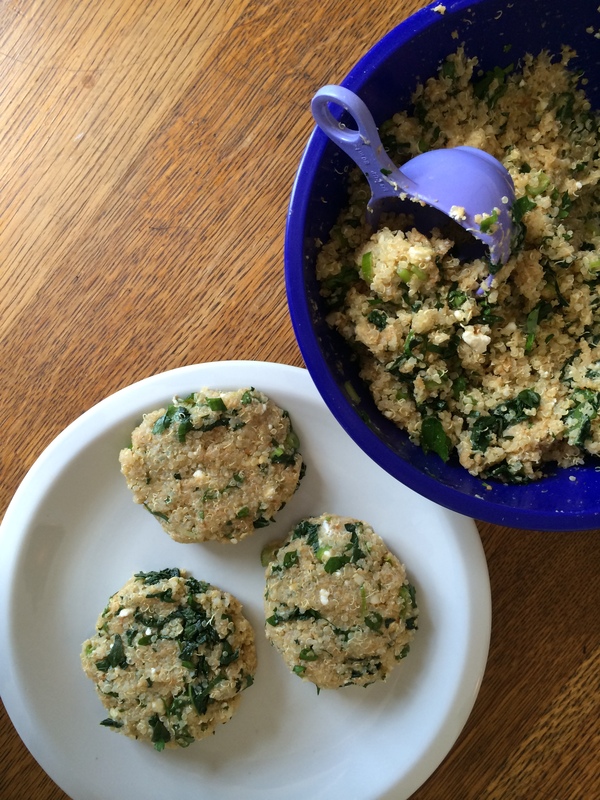 Get ready to make these quinoa and kale patties on a regular basis for your family. I love how the quinoa crisps up on the outside of the patty, giving it a crunchy golden brown coating. I love how hearty these are while simultaneously having both light and healthy qualities. 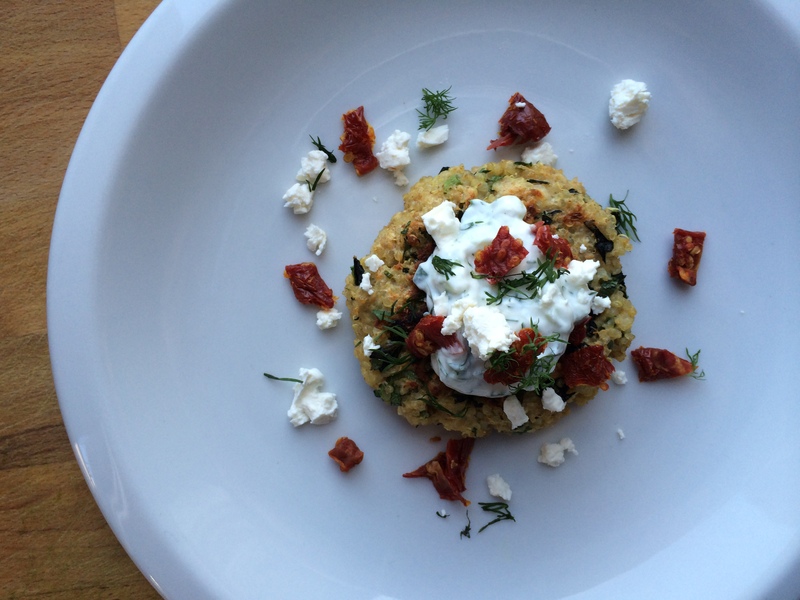 I love serving these patties with tzatziki sauce, chopped sun-dried tomatoes, feta cheese, and fresh dill. Look at these pictures and tell me you don’t want to eat these right now. 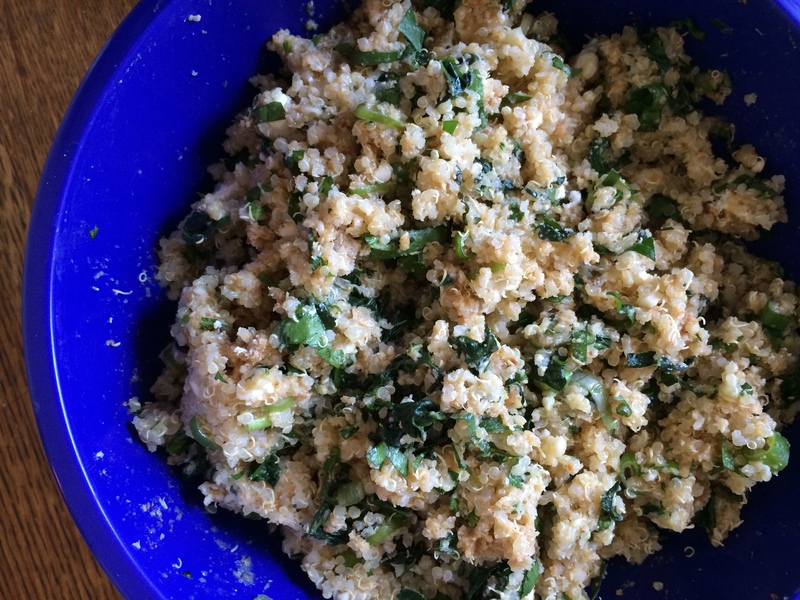 In a large bowl, mix together cooked and cooled quinoa, eggs, parmesan cheese, feta cheese, spring onions, parsley, garlic, salt, pepper, steamed kale, and breadcrumbs. Let mixture sit for about 5 minutes to absorb the liquid. 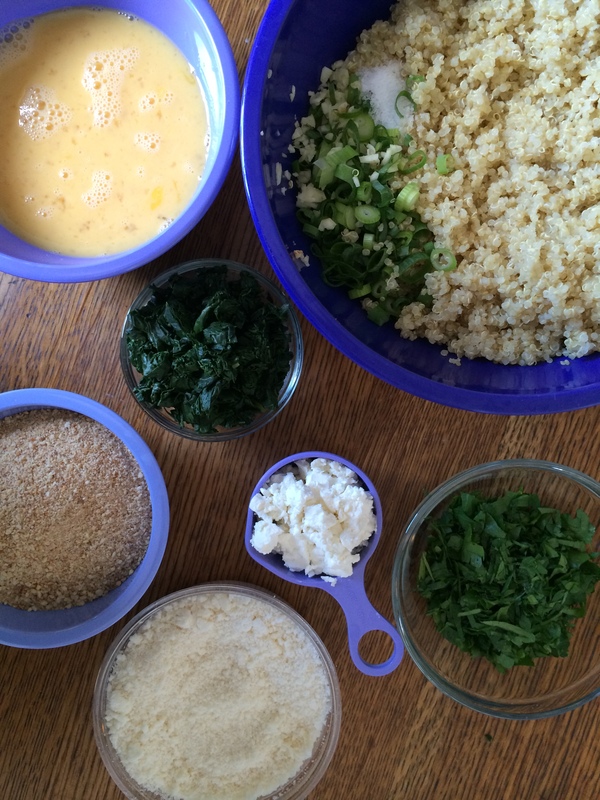 Using a 1/3 measuring cup, form mixture into 8 equal sized patties. Heat vegetable oil in a large saute pan over medium heat. Cook the patties in 2 batches, 4 at a time, so you don’t overcrowd the pan. Once oil is warm, cook patties for 8-10 minutes per side (with the lid on). Remove cooked patties to a cooling rack when the 2nd batch is cooking. Cooked patties will form a golden brown and crunchy coating on both sides. 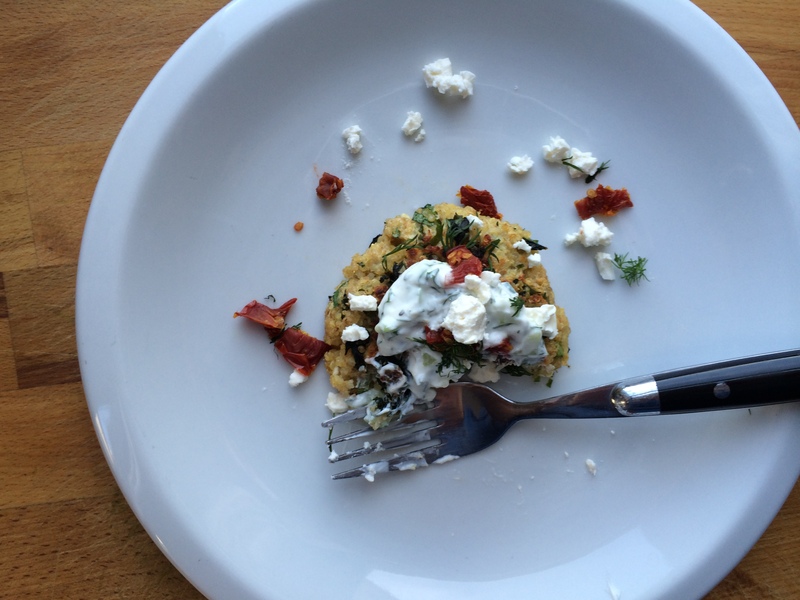 Serve with tzatziki sauce, feta cheese, sun-dried tomatoes, and fresh dill. Note: If you do not want to make all 8 patties at the same time, leftover mixture can be stored in your refrigerator for 2 days and fried when you are ready to eat. Leftovers are wonderful when served for breakfast with a slice of fresh tomato and a fried egg.